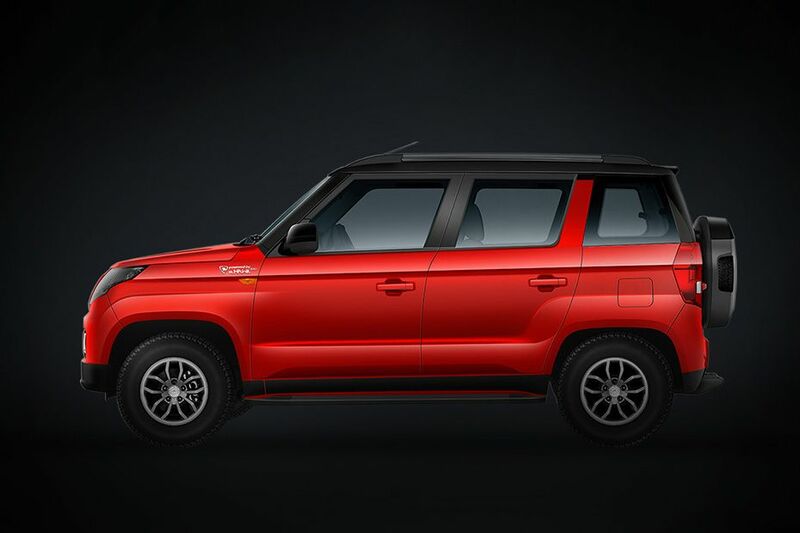 Mahindra TUV300 is powered by a 1.5-litre mHawk diesel engine that generates 84bhp of power at 3750 rpm in combination with 230Nm of peak torque between 1500 – 2250 rpm. The same motor with AMT gearbox churns out 81bhp of power, while the torque is same as its manual versions. This motor helps the vehicle to return a peak mileage of 18.49 kmpl. The biggest rival of TUV300 is Ford EcoSport Compact SUV, Renault Duster and Hyundai Creta. , Ford EcoSport is currently on offer with three engine options:, 1.5-litre TDCi diesel – 98.59bhp of power with 205Nm of torque. Mileage: 22.27 kmpl. , 1.0-litre EcoBoost petrol – 123.24bhp of maximum power and 170Nm of peak torque. Mileage: 18.88 kmpl, 1.5-litre TiVCT petrol – maximum power of 110.4bhp and torque of 140Nm. Mileage : 16.5 kmpl. Renault Duster is available with petrol and diesel engine options:, 1.6-litre K4M petrol engine – 102.53bhp of power and 148Nm of peak torque. Mileage: 13.06 kmpl., 1.5-litre dCi HP diesel motor – 83.8bhp of maximum power and 200Nm of hammering torque. Mileage: 19.87 kmpl., 1.5-litre dCi THP diesel mill – 108.45bhp of peak power and 245Nm of torque. Mileage: 19.64 kmpl (19.72 kmpl in AWD). Hyundai Creta is available with three engine options as well., 1.4-litre U2 CRDi diesel engine – 88.7bhp of power and 219.7Nm of torque. Mileage: 21.38 kmpl., 1.6-litre CRDi VGT diesel engine – 126.2bhp of peak power and 259.9Nm of hammering torque. Mileage: 19.67 kmpl., 1.6-litre VTVT petrol motor – 121.3bhp of power along with 151Nm of peak torque. Mileage: 15.29 kmpl. 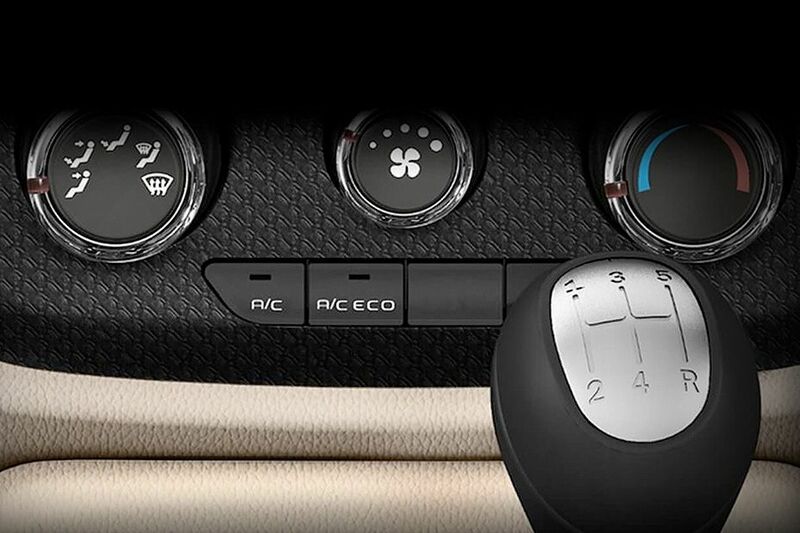 This SUV has a dynamic front facade owing to the bold radiator grille with chrome inserts. 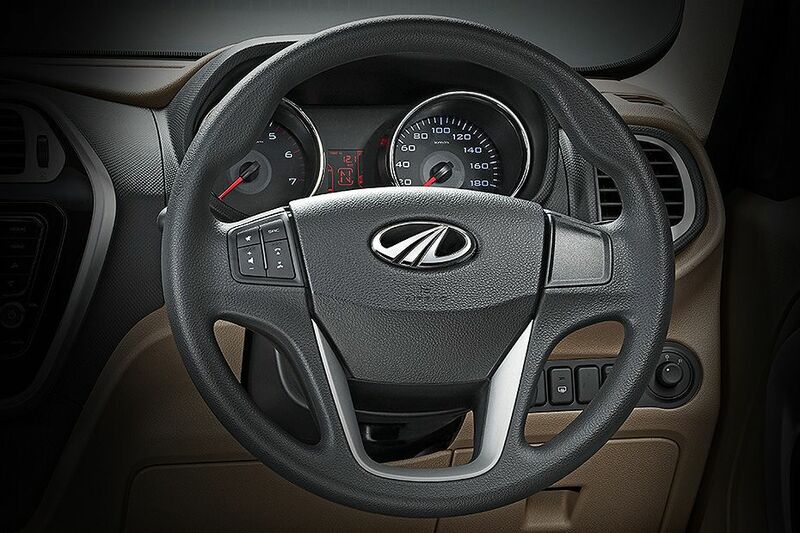 It represents the signature design language of Mahindra and is complimented by the company's insignia. 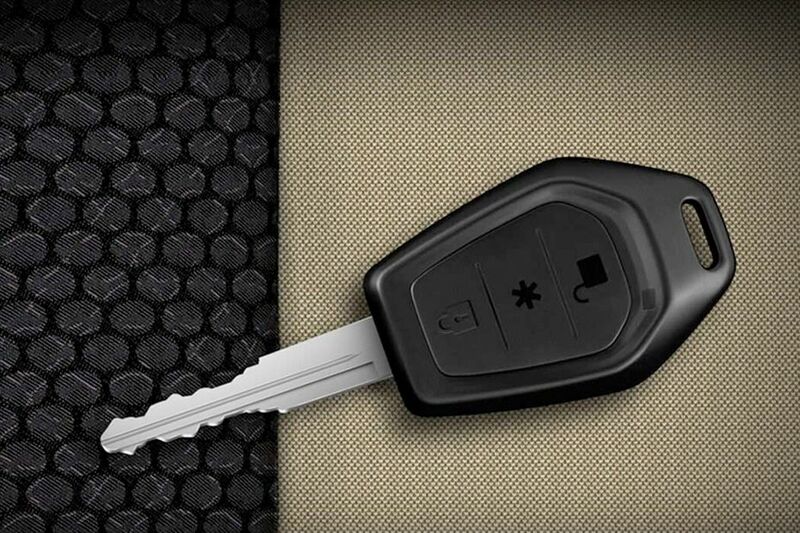 Variants from T6 are offered with remote locking and keyless entry facility. 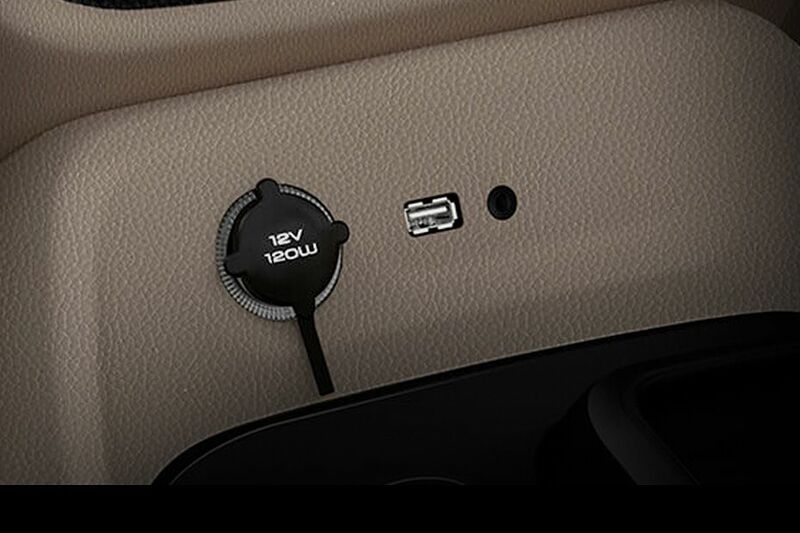 Ford EcoSport comes with smart keyless entry ( from Titanium trim), Renault Duster and Hyunda Creta have keyless entry as standard across all its variants. 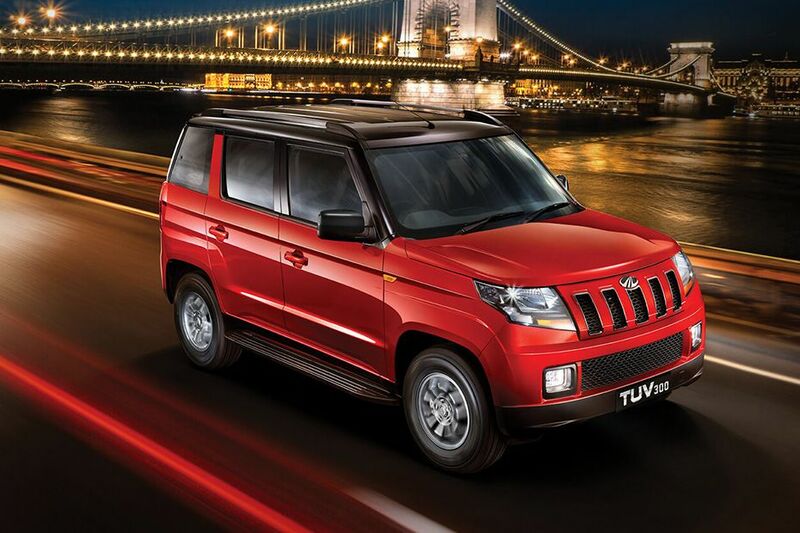 Top end variants of TUV300 are offered with 15-inch alloy wheels, while the other trims come with conventional steel rims. They are covered with 215/75 R15 sized tubeless radial tyres. 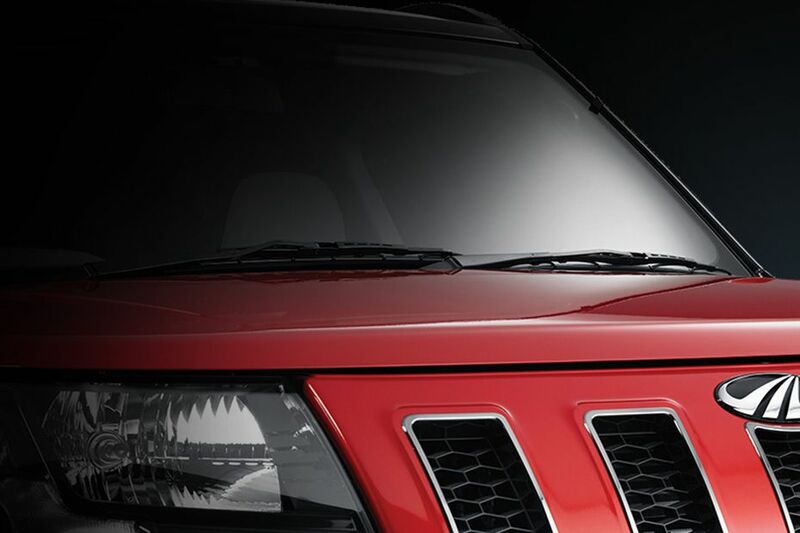 , Ground clearance of this compact SUV is 184mm. 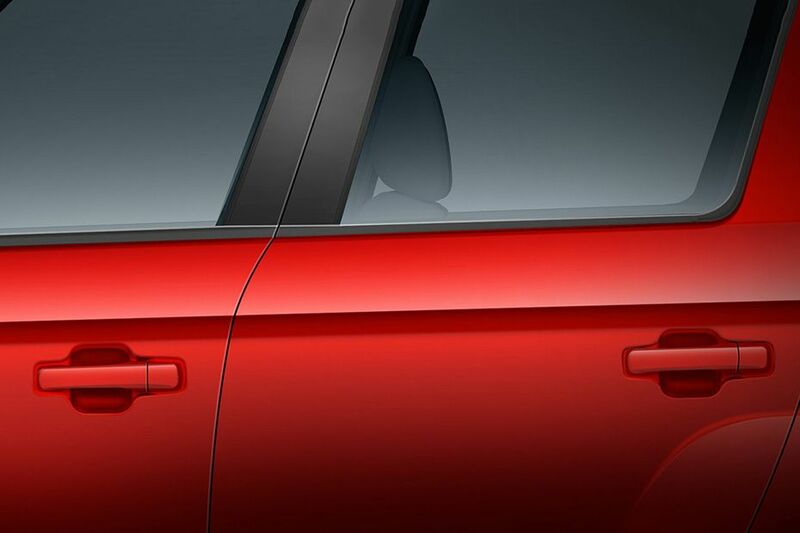 Base and S trims of Creta are available with steel wheels, while the others come with alloy wheels. These are 16-inch wheels and have been wrapped-in with 205/65 R16 sized tubeless tyres. 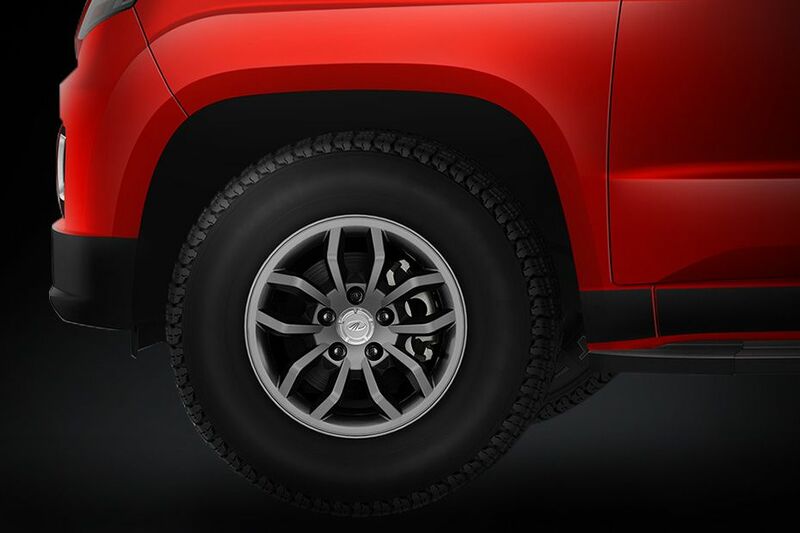 Here, the SX (O) trim comes with 17-inch diamond cut alloy wheels embraced with 215/60 R17 sized radial tubeless tyres. Base RxE version of Duster has 16-inch steel rims, while RxL and RxZ versions come with sporty aluminum alloy wheels (Option in 85PS trim). The range-topper RxZ AWD comes with anthracite alloy wheels of size 16 inches. They are covered with 215/65 R16 sized radial tubeless tyres. In Ford EcoSport, Ambiente, Trend and Trend+ trims are on offer with 15-inch steel wheels, which are covered with 195/65 R15 sized tubeless tyres. The remaining trims come with 16-inch alloy wheels, covered with 205/60 R16 sized radial tubeless tyres. The dimensions of TUV300 are: 3995mm x 1835mm x 1839mm (L x W x H). It has a generous ground clearance of 184mm. 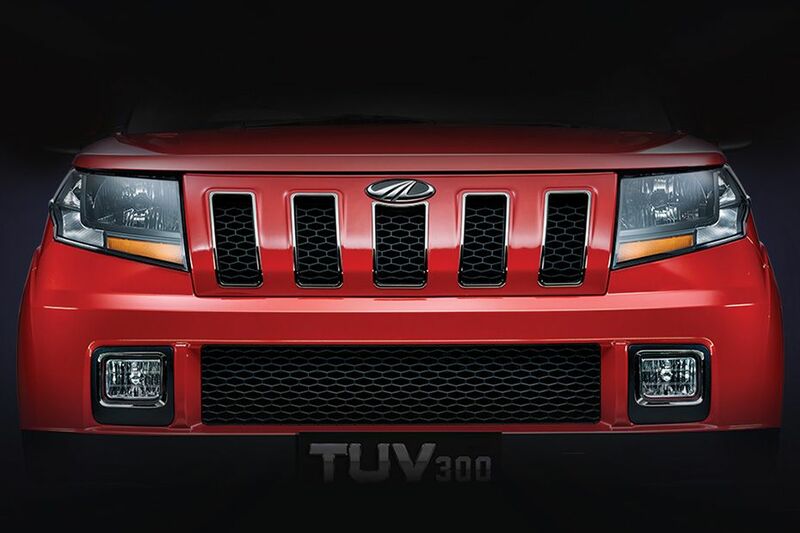 Mahindra TUV300 comes in 6 color options: Dynamo Red, Bold Black, Molten Orange, Majestic Red, Verve Blue and Glacier White. Renault Duster is 320mm longer, 13mm less wider and 144mm shorter than TUV300. Ground clearance of Duster is 205mm (210mm in AWD version). 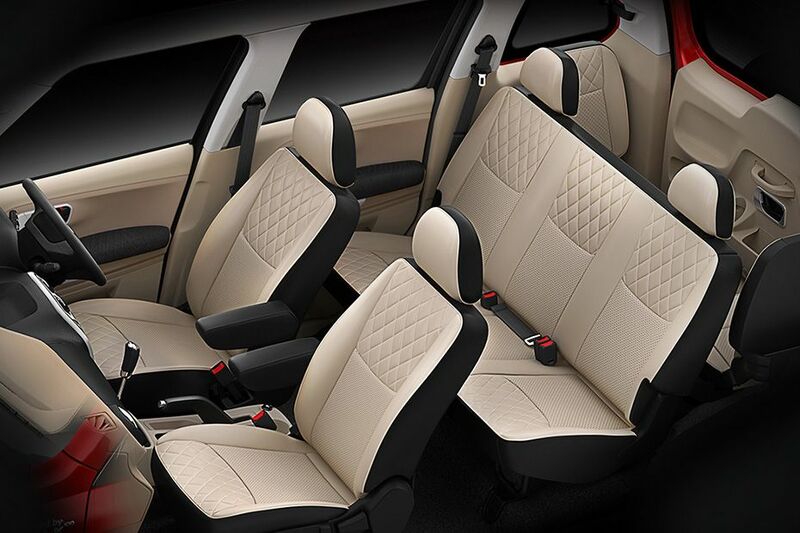 Mahindra TUV300 comes with a boot space of 384 liters (expandable upto 720 liters). The cargo volume of EcoSport is 346 liters and Creta has 400-litres. Boot space of Duster is 475-litres. The AWD version of Duster has a boot space of 410 litres. 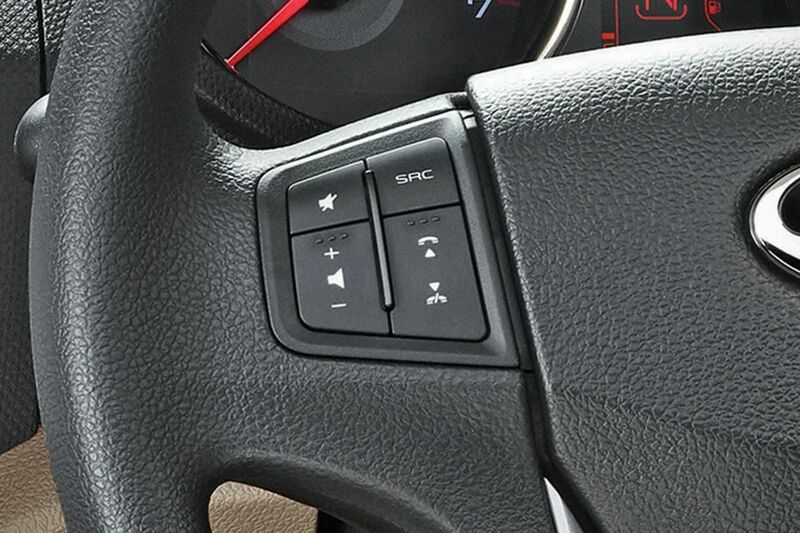 Mahindra TUV300 gets a 4-spoke tilt adjustable, power assisted steering wheel. 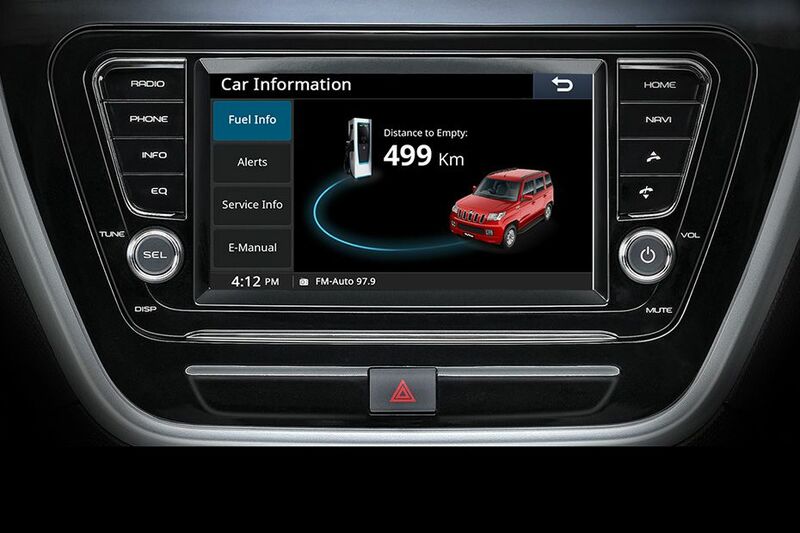 It also has an advanced instrument cluster that displays speedometer, tachometer, seatbelt reminder lamp and ECO mode. 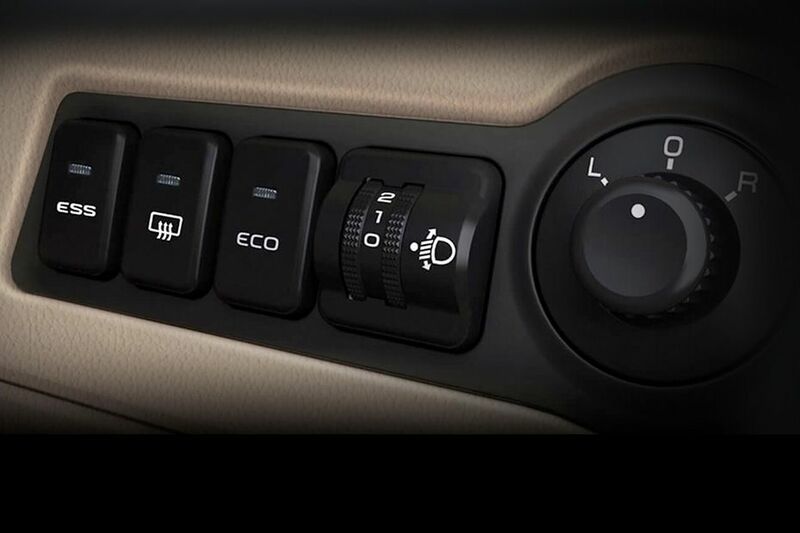 Mahindra TUV300 gets a 5-speed manual as well as a 5-speed AMT gear box option. Except Titanium AT (1.5-litre Ti VCT petrol) trim, all the other variants of EcoSport are offered with a 5-speed manual transmission gear box. Duster's petrol trims and diesel 85PS variants come with 5-speed manual gearbox, while 110PS versions come with 6-speed manual gearbox. 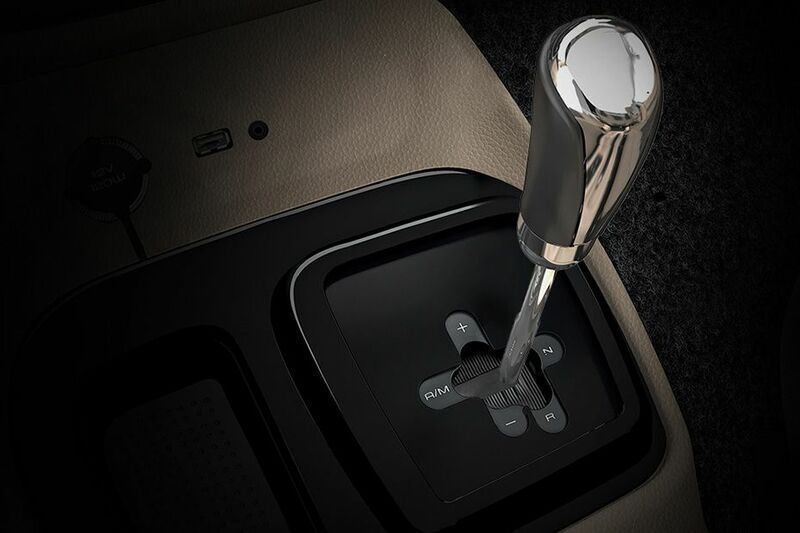 Petrol version of Creta comes with 6-speed manual transmission, while all the 1.4 diesel trims comes with a 6-speed manual and the 1.6 CRDI trims have an option for a 6-speed automatic transmission. 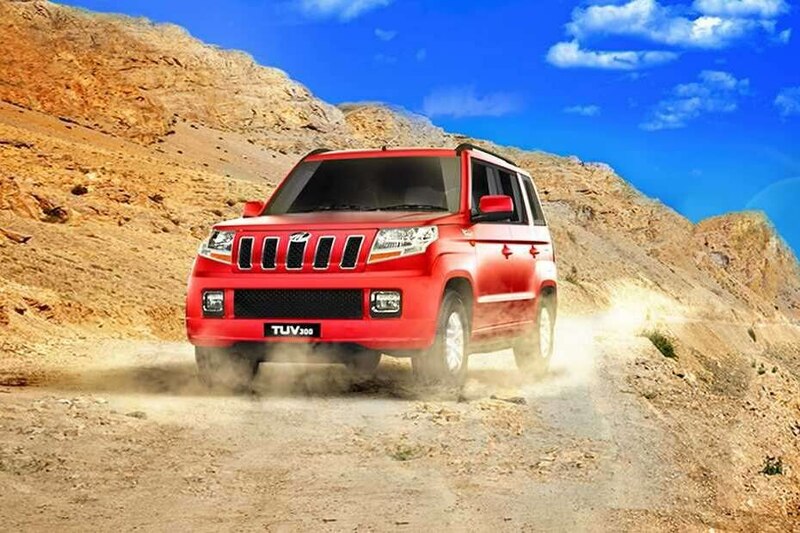 Mahindra TUV300 gets front disc brakes and rear drum brakes. 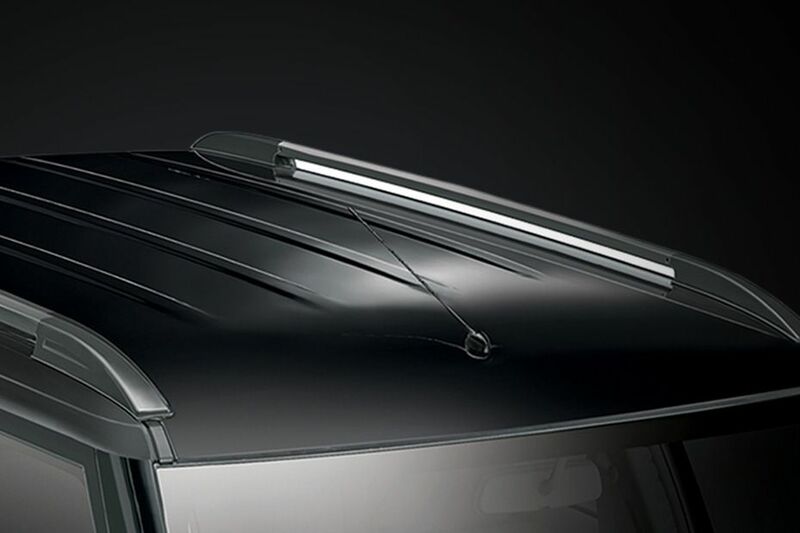 Safety features like ABS+EBD are present from T4+ trim onwards. All the competitors of TUV are equipped with front disc brakes and rear drum brakes. While the EcoSport and Duster models have front Ventilated disc brakes. , Hyundai Creta has ABS with EBD as standard across all variants. , Petrol versions of Duster comes with ABS and EBD as standard. While in diesel trims, RxL and RxZ trims have ABS with EBD as standard (Option in RxL 85PS version). , In Ford EcoSport, except Ambiente trim, all other variants get ABS and EBD. 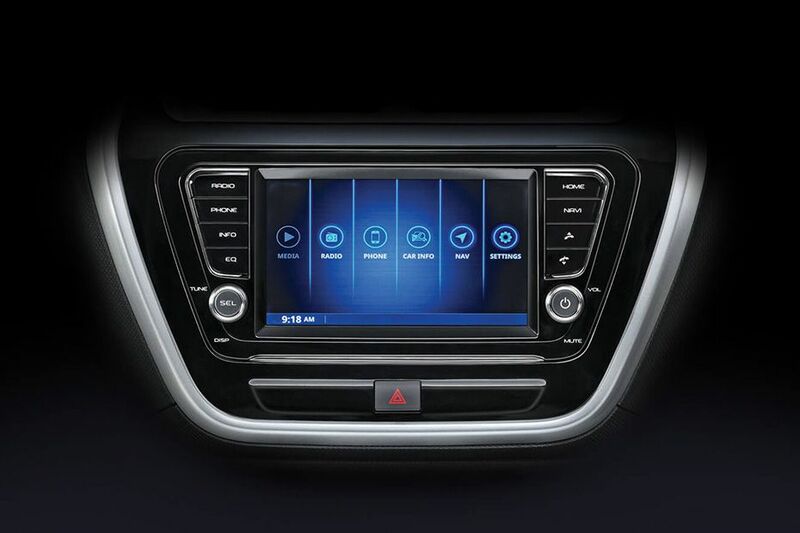 Apart from T4 and T4+ trims, all the other variants of TUV300 get an infotainment system with display screen featuring 2-DIN music system, Bluetooth, AUX-In and USB connectivity. The T8 variants come with Intellipark parking assistance facility. 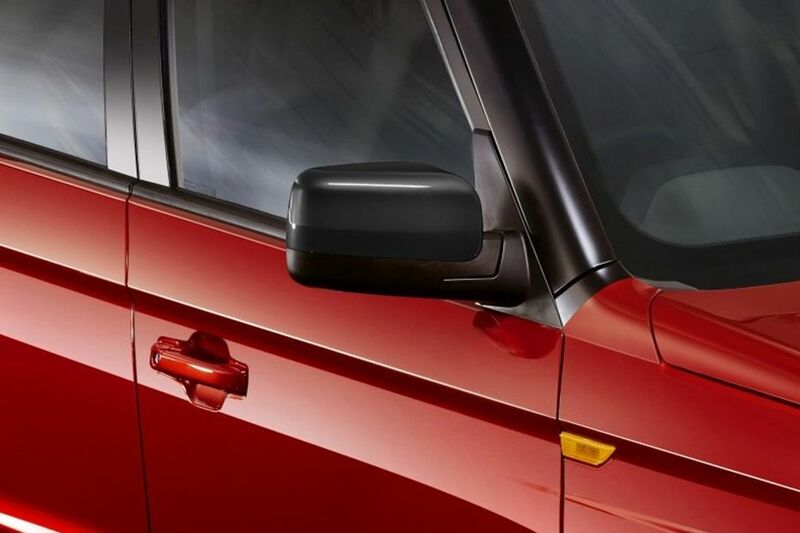 All the variants of TUV300 have power windows (front and rear). 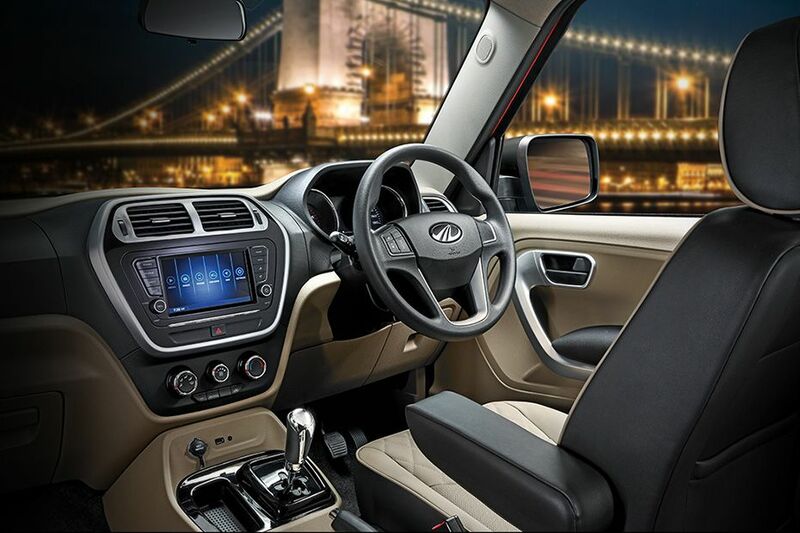 TUV300 features modest storage spaces cup holders in central console, bottle holders and storage tray. 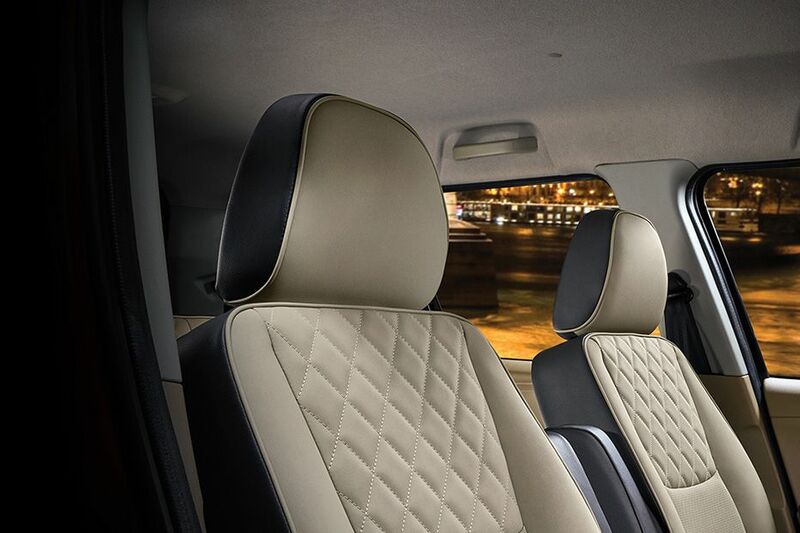 Except the T4 and T6 trims, all other variants come with dual front airbags. Creta has dual front airbags as standard from S+ trim onwards. 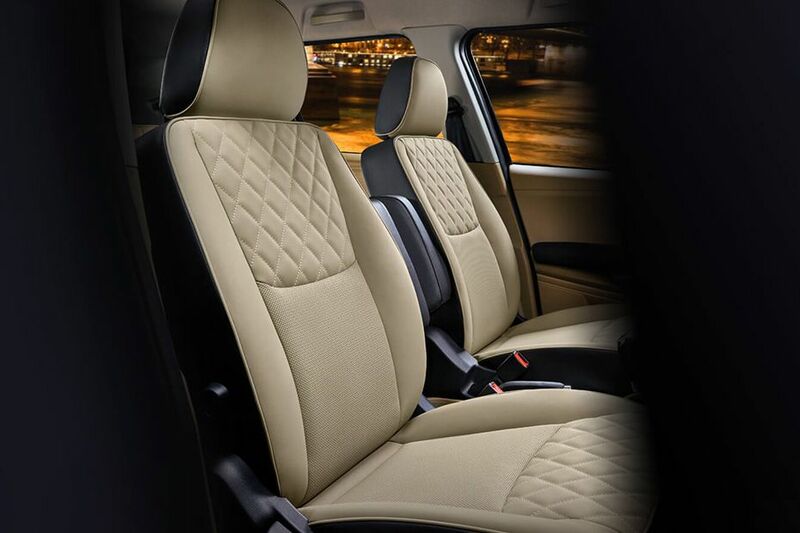 Additionally, it gets side and curtain airbags in top end trim. 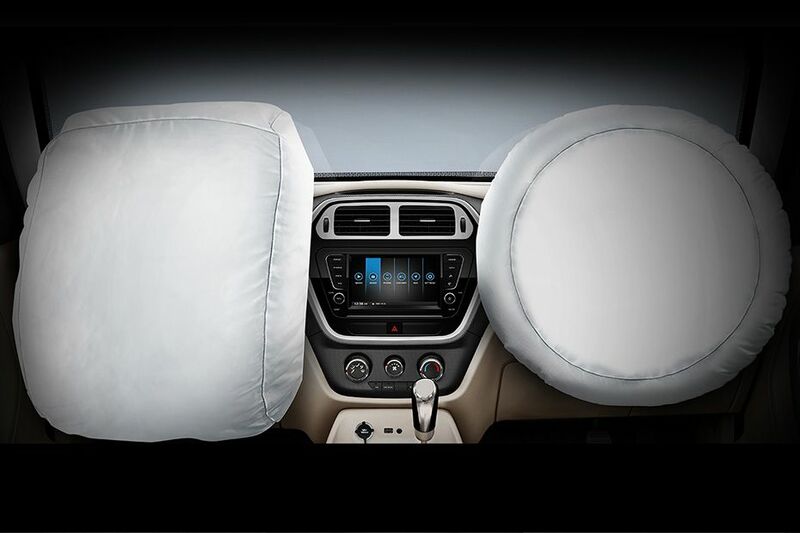 Top end variants of Duster has dual front airbags. While the RxL trim come with driver airbags. TUV300 has decent legroom, but not as good as Creta or Duster., TUV300 has better shoulder room and head space than any of its rivals. 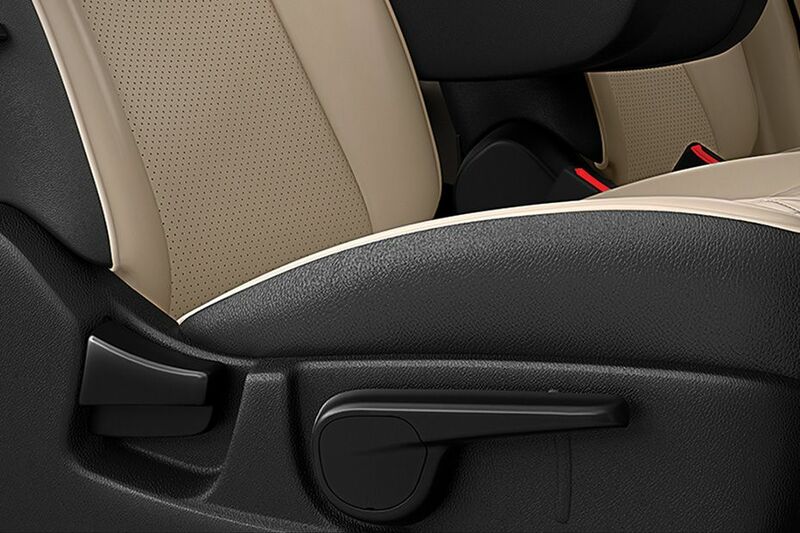 TUV300 has driver seat height adjustment facility and lumbar support for passenger seat. 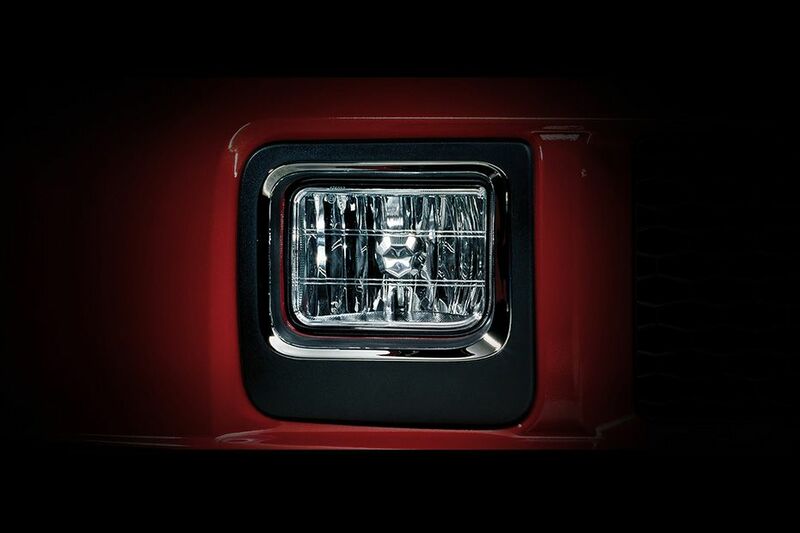 Mahindra TUV300 has a masculine headlight cluster featuring conventional halogen lamps along with turn indicators. 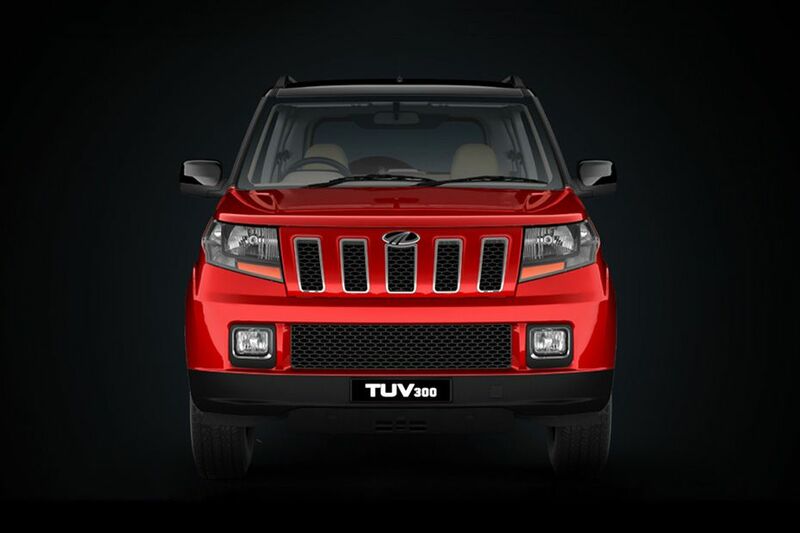 TUV300 has a large and trendy tail-light cluster that is equipped with luminous lamps and turn indicators.